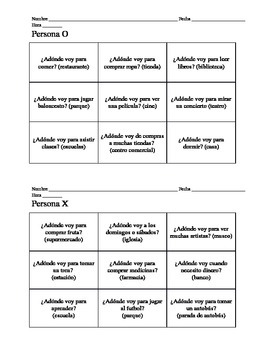 Students are able to interact completely in the target language while playing tic-tac-toe. Student X reads out her statement and Student O must tell the answer in parentheses. If Student O answers correctly, he/she is able to put an O on that space, if he/she answers incorrectly, Student X puts an X in that space.